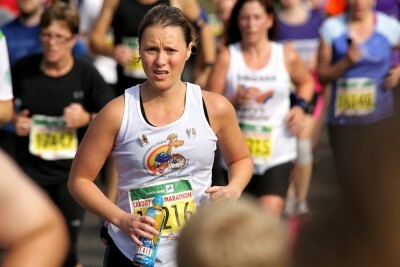 Thinking of taking part in the Cardiff Half Marathon this year? Then why not act quickly and register yourself for one of our Noah’s Ark Charity gold places. By joining Team Noah’s Ark, you’ll be playing a part in supporting 73,000 children needing specialist and often life-saving treatment at the Noah’s Ark Children’s Hospital for Wales in 2017. Knowing that you’ll be running to help others will provide you with that little bit of added motivation as you train and a huge sense of pride as you cross the finish line. We’ll be there to support you every step of the way, both with your fundraising in the run up to the event and at our cheering stations along the course on the big day itself. Registering for one of our gold placed means that you do not pay the £39 registration fee. In return for your gold place we ask that you raise a minimum of £300 for the Noah’s Ark Charity. To register for your gold place, call us on 029 2184 7310.